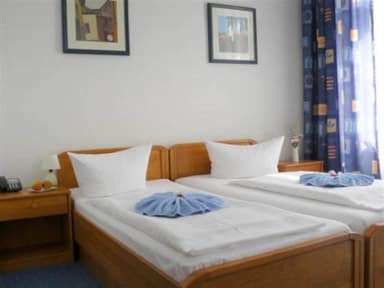 Gasteiner Hof Hotel i Berlin, Tyskland: Bestill nå! Our house is located in the centre of Berlin, near the main street of West Berlin, Kurfrstendamm and Zoo Station. 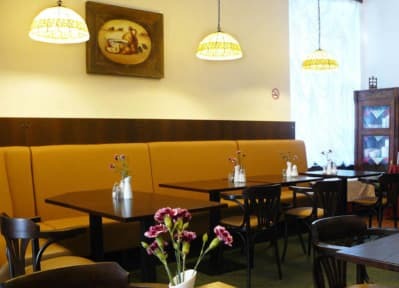 The hotel is 22-rooms in size with a breakfast room and bar - very typical of Berlin hotels. The hotel boasts 22 rooms, all styled individually. All of the rooms are of a good size, in a well fashioned design, beautiful, new and clean. All have television. You can choose between rooms with bath and shower and cheaper rooms with bath and shower in front of the room. The hotel is well linked to the public transport system, with Zoo Station just a couple of U-Bahn stops away. Whoever needs a convenient place to stay and who doesn't want to miss such as beer from the tap, then this is the place for you. Hotel Gasteiner Hof offers you personalized service, so feel home away from home!